2009 Flight Path, originally uploaded by chrisfreeland2002. 8 days 12 hours 49 minutes...or...the approximate amount of time I spent on an airplane this year. Check out more of my stats at OpenFlights.org. View more presentations from chrisfreeland. 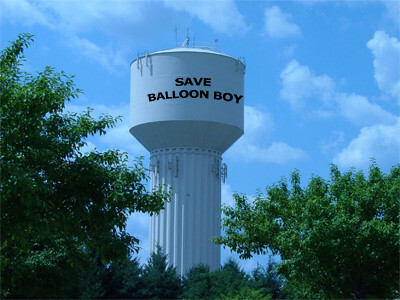 Save Balloon Boy, originally uploaded by chrisfreeland2002. I can't believe how big the story got so quickly. But then, with our "always on" culture, why should I be surprised? It all made me consider "Ferris Bueller's Day Off" and my favorite moment from that flick - the shot of SAVE FERRIS painted on the water tower. I remember watching that for the first time in the 80's thinking "oh, ha ha, how could you get the word out that fast?" This was pre-cell phone, pre-internet, pre-social networking, and so of course it was an absurd idea; that's the joke. Now that we're always connected, is the joke on us? "playing deliberately evasive methaphors [sic] game" concerning the differentiation between species entity, a species concept and species name. Originally posted to TAXACOM listserv, 10 Sep 2009. 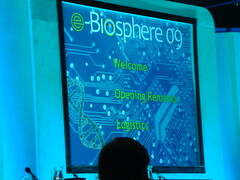 I am in London for the e-Biosphere '09 conference. I've been at conferences that had the now-ubiquitous ongoing Twitter sidechats before, but this was the first large biodiversity informatics meeting I've attended where it was used. Read all the chatter here: #ebio09. I've also posted pics via Flickr. Use the input provided by the e-Biosphere09 Conference as background to discuss the new functionalities and interconnections needed by current and future users, and to develop a list of priority action items. The outcome of the Workshop should be a proposal for developing an integrated roadmap for the development of Biodiversity Informatics over the coming 5-10 years. During #ebio09 the 2day session was dubbed the 'silverback' meeting by Dean Pentcheff via Twitter, in a tongue-in-cheek biological reference to adult male gorillas, whose back coats turn to grey as they mature. I've heard the term used in this context before (first time in 2000, used it myself many times since) and it's slightly pejorative, in that these 'silverback' sessions are thought of as some special meeting of tribal elders - no young'uns allowed. I was invited. I was among 3 of the youngest people in the room. I'm almost 34. There was also some grumbling about it being a closed session, so I had promised the dozen or so #ebio09 Tweeters that I'd make reports as we'd done during the conference. Much to my dismay there was no wifi during the 2day session, so I took notes. On paper. Because the auditorium only had power outlets along the wall. Sigh. At the close of the first day I had about an hour before dinner started, so I came back to my hotel, typed up my notes & sent 40+ tweets in rapid succession, starting with this one. Some folks didn't like the tweetsplosion, some folks did. Wha'ver - I was pressed for time and wanted to get the info out. The second day (today, June 5, 2009) was quite different, with more breakouts & less plenary, so less opportunity to record tweetable bits; also wanted to avoid another tweetsplosion. I also acknowledge that there's going to be an official summary of the meeting that will be made public. I didn't want to steal the organizers' thunder, if you will, especially since they agreed to publish the outcomes & roadmap as quickly & transparently as possible. Woo hoo! Day Two: more of same. Silverbacks thumped, bared teeth, roared. say same things time and again. World not flat - it's old. That last one stems from my frustration when the subject of communication opportunities came up. I naturally suggested Twitter and pointed out that there were hundreds of tweets posted during the conference. The crowd were unimpressed. Then at the close of the session we discussed outreach & engagement opportunities and someone mentioned social networking, and there was a collective groan throughout the audience. I bit my tongue. I was the only person in that group who is actively involved in social networking and who has found a way to incorporate it into my work life. Twitter & Facebook & Flickr aren't games; they're communication tools. I've been invited to participate in grants via Facebook. I've made contact with countless others in my field through Twitter. I IM my staff & collaborators while I travel (and boy, do I travel) and while I'm at home. Yes, there's chatter. But I counteract that by being online ALL THE TIME. My iPhone is my alarm clock when I travel. This morning I hit "Snooze" and then checked my email. 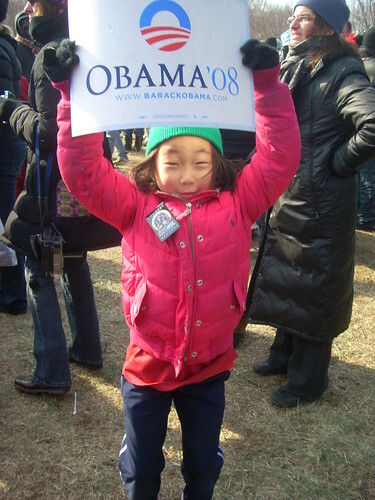 Some people are horrified by this, but guess what - I learned this behavior from my tweenage nieces. There is no 'off' for them. Turns out Gil Scott-Heron was right - "the revolution will NOT be televised." It will be online, in a form we can't even imagine on devices not yet designed. As a discipline, biodiversity informatics has to stay on top of how its workers & enthusiasts (like citizen scientists) use technology. Not the tools that we build through our own efforts, but those that we carry in our pockets and integrate into our daily lives. I just hope that when I'm a silverback I remember this message. Final note: despite my critique here, the 2day session did accomplish a lot and did set out a roadmap for the next several years. To give this much space to a rant on social technology is unfair as it wasn't the central theme of the meeting, nor should it have been. Bigger problems, bigger issues. You'll see when you read the report. Just don't expect to hear about it via Twitter. 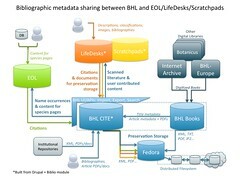 Presented at BHL-Europe Kickoff Meeting. 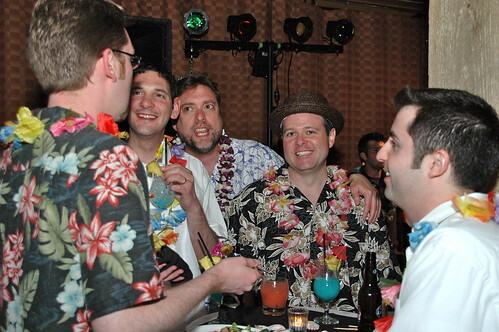 Mark's 50th Birthday Party, originally uploaded by TheBrad. BHL Citation Sharing Revision, originally uploaded by chrisfreeland2002. 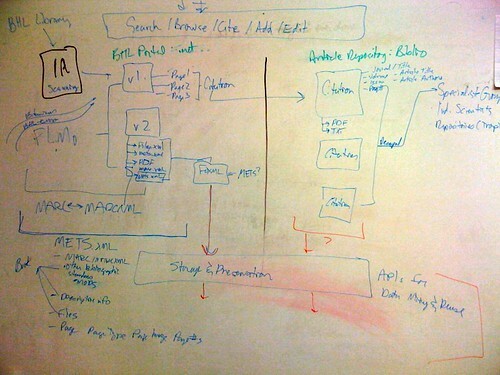 More whiteboarding - true colors, originally uploaded by chrisfreeland2002. Darwin - Very gradual change we can believe in, originally uploaded by jeffmcneill. Page 77 is an awesome overview of museum data. View more presentations from rdmpage. View more presentations from Phil Cryer. That Martin Kalfatovic is one funny dude. As in funny ha ha. 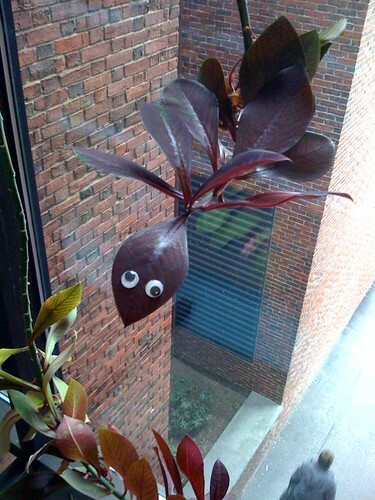 Botanical humor, originally uploaded by chrisfreeland2002. The Case for Drupal-- Why the Open Source CMS is Well-Suited for a Medical Academic Library from Paul Albert on Vimeo. 2009-01-20-dscn7946, originally uploaded by martin_kalfatovic. 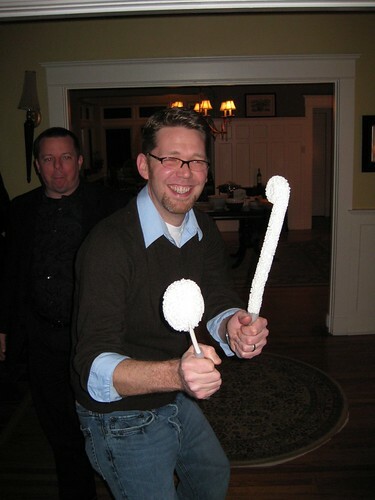 Chris the Cleaning Man, originally uploaded by nemanick.